About me Follow us for daily signals & forecasts!! 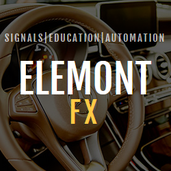 - TELEGRAM: @ElemontFX - FACEBOOK: Elemont FX - VIP CLIENTS: Want free premium signals before everyone else? PM us to become a VIP client! LSF has broken out of its tight range whilst it's underlying NAV has hit record highs since it's collapse. Expect price to break through the local high and head towards next resistance. - Reached resistance of overhead downtrend line - Bearish divergence on stochastics Expect a pullback, target next support. Trade invalidated if price breaks resistance. GBPNZD has broken above a huge flag pattern, into a new, narrow flag pattern. Expect price to break to the upside with strength. Expect price to retest the midpoint of 'W' pattern, with probability to break higher. - Gold has just broken below a bearish flag pattern - Bearish divergence on the stochastics - Bearish intraday bias Target next support. Price action calls for bearish continuation towards support. Bearish intraday bias. If price doesn't surpass the double top resistance, expect the pennant to break to the downside, targeting next support. - Bearish Flag Pattern - Negative divergence - Bearish Daily Bias Look to enter short on break of trendline. If price breaks the resistance trendline, expect 1307-1308 as the first target. Supported by rising MAs and Daily bullish bias. After a fakeout over the top of the triangle, EURAUD looks ready to breakout from a Descending Triangle.